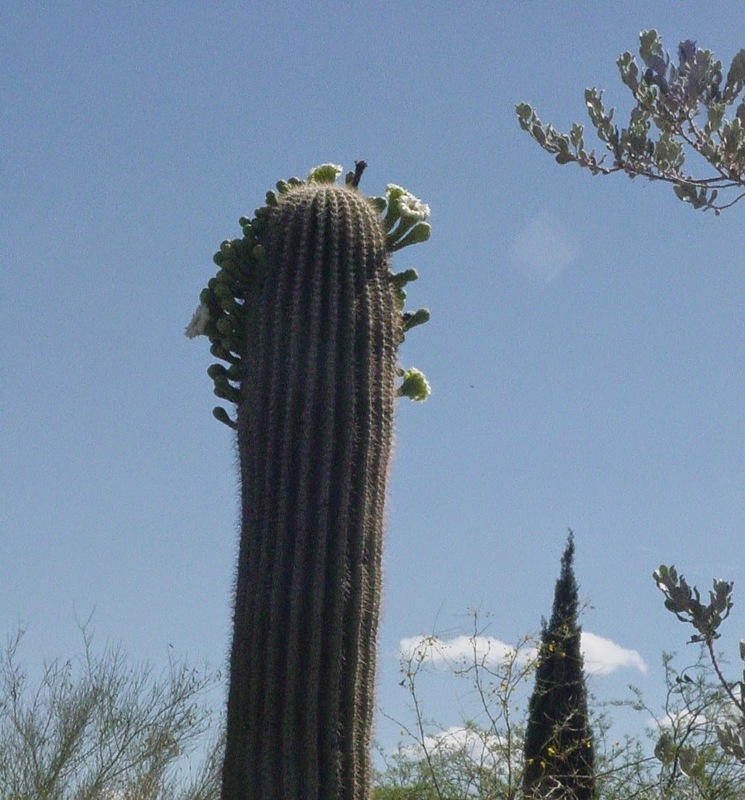 Arizona's beautiful saguaro flowers can be seen everywhere now. (Did you know it's the state flower?) This beauty is in my front yard. In the 2nd photo you can see a bee zooming in for some nectar from that white blossom! Mmmm! The flowers look like they are trumpeting "Hello, come visit and admire me!" Yes, the blooms are beautiful! 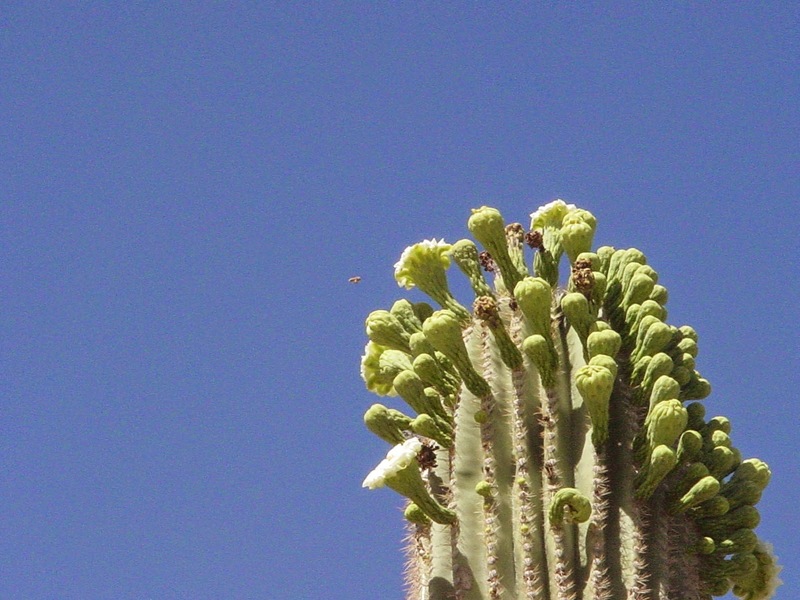 This is such a pretty time of year in Tucson for us (and the bees, of course! ).